It’s that time of the year where airmen and their families prepare to bid adieu to their current duty stations and start that all consuming process of moving to the next. 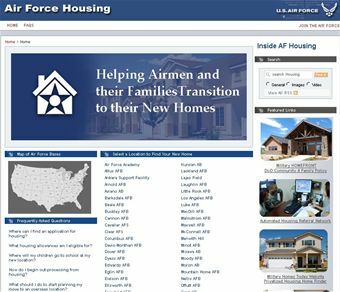 In an effort to minimize that stress, the Air Force has unveiled a new housing Website that features links to the housing pages of every Air Force installation around the world. The new site features maps of each base, information on housing options and support services, links to other important moving related websites and a list of FAQs, according to a press release. The new site also includes information about local communities, schools and even the weather. But the site apparently isn’t just for airmen with families. It also has information for single airmen who need to know more about the dorms, according to the press release. Visit www.housing.af.mil for information about permanent change of station moves and base housing and off-base housing.